Originally, back in the 17th century, the Hessian regiment came from Hesse. Later, other Principalities (autonomous territories of Germany) imitated Hesse in forming on a large scale soldiers that they went rent to other countries. Where is Hesse located? 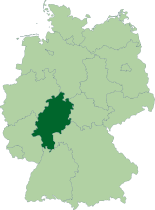 The following map shows you its location in Germany (dark area). The other principalities are all adjacent to Hesse. • The cultural region of Hesse includes both the State of Hesse and the area known as Rhenish Hesse (Rheinhessen) in the neighbouring Rhineland-Palatinate state. The oldest city of the cultural region of Hesse, Mainz, is in Rhineland-Palatinate. 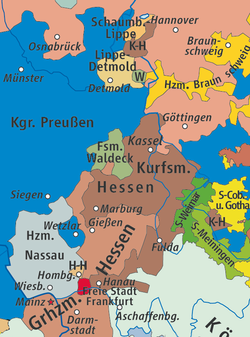 • The State of Hesse (German: Land Hessen) is part of the larger cultural region. It has an area of 21,110 km2 (8,150 sq mi) and just over six million inhabitants. The capital is Wiesbaden. Hesse's largest city is Frankfurt am Main. From the beginning of the 17th century, this small State started to train professional soldiers and offer friendly countries its regiments to fight beside their domestic soldiers. The Germans were involved in many wars during the 18th century, especially the ARW. 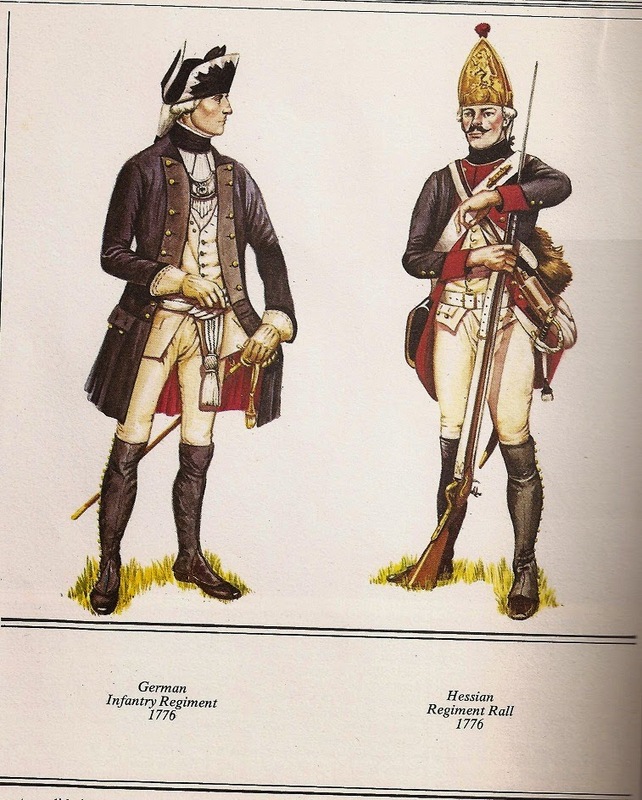 They were called Hessians during the ARW because 43% of the 30 000 soldiers came from Hesse-Kassel. The discipline within the troops would go as far as beating or hanging deserters. Why were they so feared by the enemy? They were well trained and well equipped, much more than anyone else on the battleground. While the enemy was using muskets, they responded with three-pounder cannons. Most of the soldiers were sharpshooters. Their cavalry was efficient and implemented combat strategies that would confound their adversaries. War, for these mercenaries, was a profession. Training was tough, ruthless, and those farm boys, on the long run, became tough, too! Dennis Showalter wrote: « Recent research is revising those traditional impressions. Hessians made up only about half of the German troops that served in North America during the Revolution, and scholars point out that almost half of these settled here after the war, intermarrying along classic immigrant lines. Military historians have even vindicated the Hessians at Trenton, demonstrating they were in fact alert and ready—just outfought by the Ameri­cans. The Hessian image nevertheless remains incomplete: They appear on the American stage without context then vanish with little explanation. What's missing is a clear sense of who they were, where they originated, and why they came to America to fight, kill and die in a war that was not their own. The following information is very revealing about the role of the German army in Hesse-Cassel. « Hiring a foreign army was not unusual in the eighteenth century. For Hesse-Cassel, soldiers were a major export. 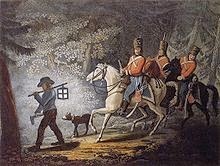 By renting its army to the British, Hesse-Cassel took in an amount equal to about thirteen years' worth of tax revenue. This allowed the state's prince, the Landgraf Wilhelm II, to keep taxes low and public spending high. A man of the Enlightenment, Wilhelm oversaw public works projects, administered a public welfare system, and encouraged education. Even so, military needs dominated the country. When boys turned seven they were registered for military service, and each year men ages sixteen to thirty had to present themselves to an official for possible induction. Some men were exempted because their occupations were considered vital to the state. But others, such as school dropouts, bankrupts, servants without masters, idlers, and the unemployed, were deemed "expendable people" and could be forced into service at any time. Life in the Hessian Army was harsh. The system aimed to instill iron discipline and the punishments could be brutal. Still, morale was generally high. Officers were well-educated, promotion was by merit, and soldiers took pride in serving their prince and their people. Furthermore, military service provided economic benefits. Burgoyne, Bruce E. (2008) Waldeck Soldiers of the American Revolutionary War. Heritage Books, Maryland USA.